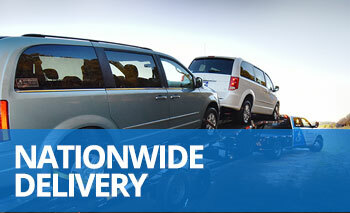 All newly modified wheelchair vans from AMS Vans come with our low price guarantee. 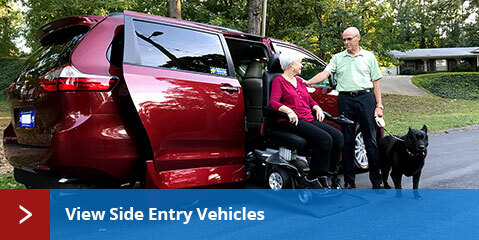 * Once you buy a handicap accessible van from AMS Vans, we can deliver it to you in Hartwell, Georgia or nationwide (delivery fees may apply), which includes our white glove service where a mobility professional will show you how to use the ramp and optional mobility equipment on your new minivan. Complete satisfaction upon delivery is always guaranteed at AMS Vans for all modified handicap vans from our inventory, so you can buy without hesitation. New AMS Vans brand handicap conversions on new and used wheelchair vehicles come with a great conversion warranty, 24-hour emergency conversion help line, and national service. Modify a new or used minivan you currently own in Hartwell, Georgia into an AMS Vans brand handicap accessible van. Available on virtually all Dodge, Honda, Volkswagen, or Chrysler minivans, AMS Vans will convert your current minivan into an AMS Vans Legend, AMS Vans Edge, or AMS Vans Edge II wheelchair minivan. Customize the handicap van to your specific needs with optional mobility equipment upgrades including transfer seats, hand controls, and more. Benefit from the latest automotive technology when you buy a new minivan with a new AMS Vans brand mobility van ramp conversion. Simply choose your favorite Honda, Chrysler, Dodge, or Volkswagen minivan for a side or rear entry model where available. In addition, you could qualify for mobility rebates on a new minivan. As part of our used handicap vehicles inventory, we sell used AMS Vans minivans with both new and used handicap conversions as well as models from other manufacturers like VMI, Rollx, and Braun in Hartwell, Georgia and nationwide. Buying used minivans saves the depreciation value that occurs with a new vehicle. 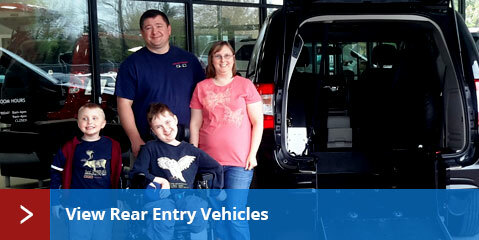 Purchase a used minivan with a new handicap conversion and drive with peace of mind knowing your wheelchair accessible vehicle is backed with a great conversion warranty as well as any remaining manufacturer&apos;s warranty on the minivan itself. AMS Vans offers several options to quickly sell your un-modified minivan or professionally converted handicap accessible van. For a fast, easy sale of your used minivan or wheelchair van, AMS Vans pays some of the highest payouts in the industry, gets your cash to you quickly, and will pick up your minivan right from your home or office in Hartwell, GA with our national pick-up service. If your used wheelchair accessible van is manufactured by Braun, VMI, Rollx, or another handicap accessible van company, AMS Vans is still interested in buying it. AMS Vans strives to give you an accurate price quote on your handicap van in Hartwell, Georgia by using different appraisal tools like Kelley Bluebook and NADA. Trade in or sell the used AMS Vans brand handicap accessible van you no longer need or want to upgrade through the AMS Vans Buy Back Program that has some of the best prices in Hartwell, GA and nationwide in the mobility industry. Minivans without handicap conversions by Dodge, Chrysler, Honda, and VW are eligible for direct sale to AMS Vans. Purchasing used minivans from private sellers and then modifying them with new ramp conversions allows us to sell an AMS Vans wheelchair accessible vehicle at a significantly lower price. Take advantage of the "for sale by owner" listings available within the AMS Vans Mobility Classifieds for private sellers and potential buyers to network. Owners of AMS Vans wheelchair vans can list their pre-owned AMS Vans wheelchair accessible van for free in our mobility classifieds for the first month. As an added service through our mobility consignment program, AMS Vans will post an ad for your used wheelchair van in our classified listings as well as have our mobility consultants answer any inquiries from potential buyers about your accessible vehicle through our consignment option. Whether it&apos;s noon or midnight, the AMS Vans virtual wheelchair vehicle lot is open and ready to help you shop for an accessible vehicle that meets your needs, and buy direct online to keep the price low without sacrificing quality. Let our wheelchair van customer testimonials from Georgia and nationwide speak for themselves about our unsurpassed customer service and value in our accessible vans Share your experience with AMS Vans, and if someone you referred buys their own handicap accessible van and mentions your name during the sales process, we&apos;ll send you a check for $250! 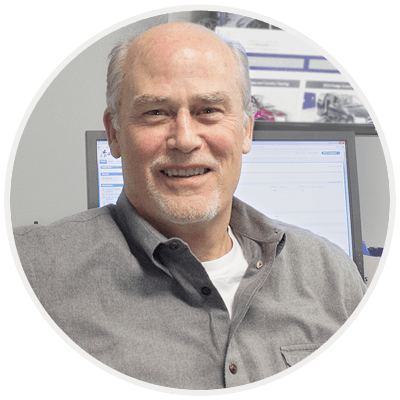 We strive to provide low cost handicap vehicles that are created around your needs with safety, longevity, quality, and price being most important.